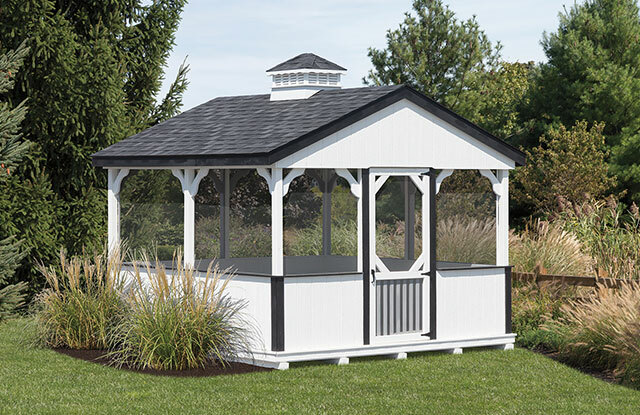 Treat yourself to an outdoor space where you can relax, entertain, or take in the sights while enjoying a meal or snack or warm summer day without worrying about distractions from insects or direct exposure to the sun with a screened-in Crab House. 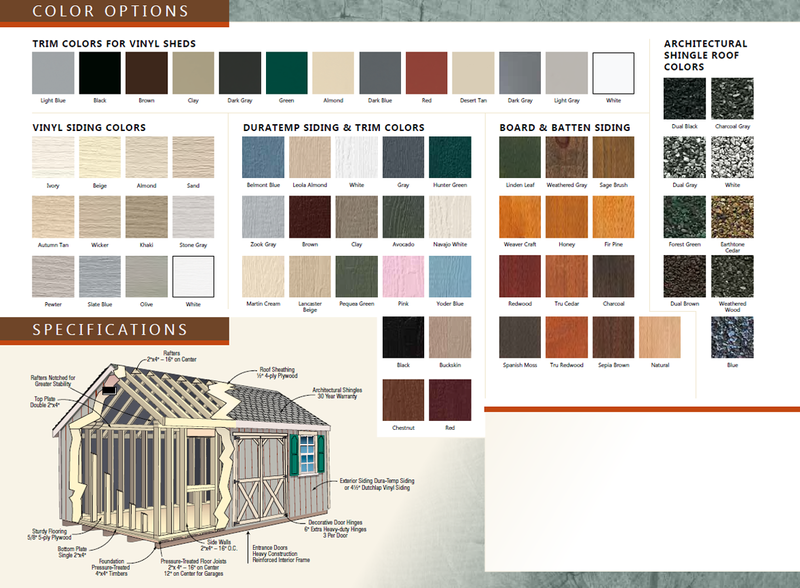 This unique, solidly built outdoor structure is designed with classic shed features like A-frame roofs and cupolas. 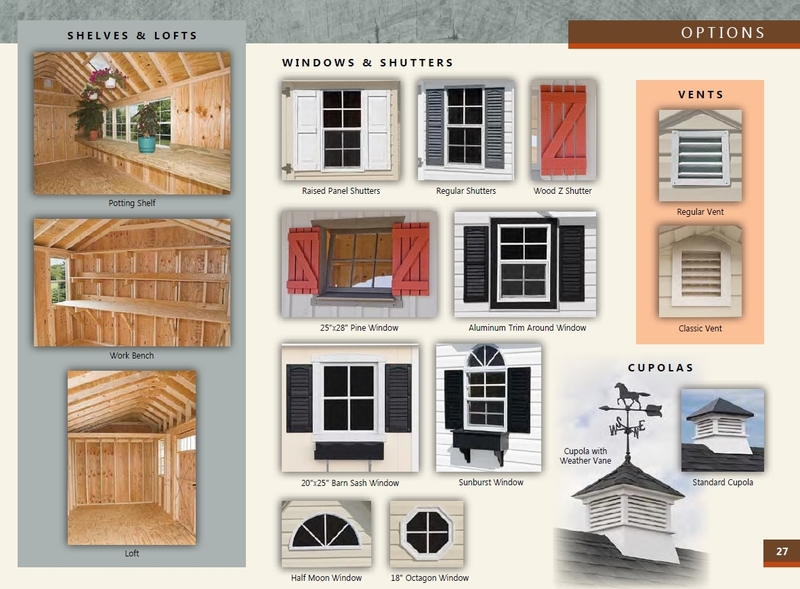 Yet it also offers the added convenience of a screened-in structure that can be placed anywhere on your property! 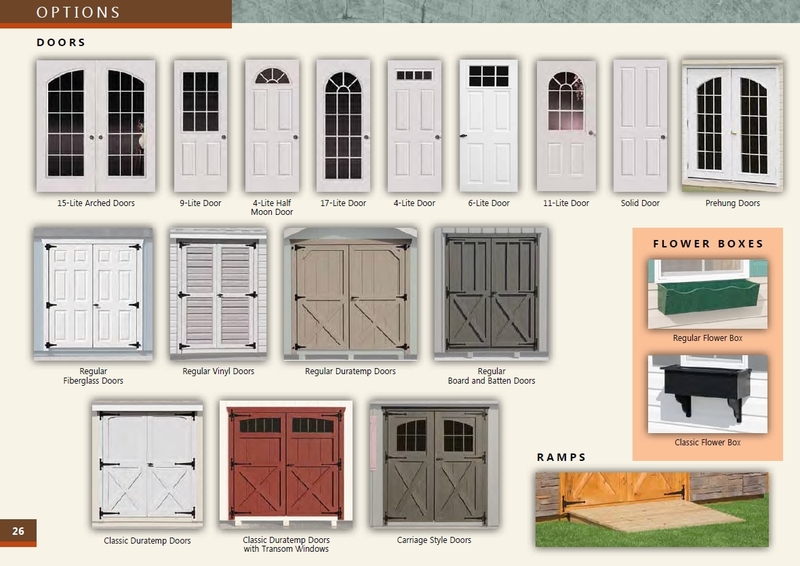 White or red siding provides added character, as does the eye-catching design features on the attached door.